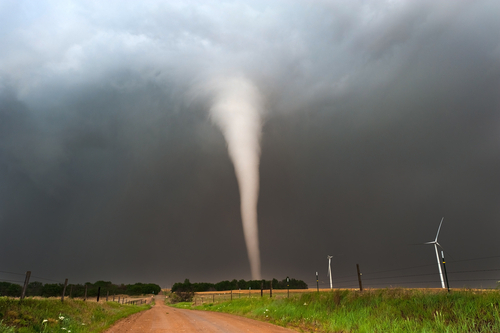 Adding a storm shelter to your home is a great way to stay safe during tornado season. There are a few options to consider before purchasing one, however. Here are a few things to consider to ensure that you choose the right shelter or safe room for your home and family. The first option is to decide whether you’d like your shelter to be above ground or below ground. While below ground shelters and storm cellars offer great protection from winds and debris, they’re not advisable for those that live in flood-prone areas and there’s a risk of debris falling on top of them and trapping those inside. These below ground, or in-ground options could also be difficult to access for individuals with physical handicaps or the elderly. Above ground shelters and safe rooms also provide protection and are firmly anchored to the concrete slab and can typically withstand winds and force greater than an EF-5 tornado. If you decide on an above ground safe room, there are a few different materials to choose from. First, compare concrete constructed shelters to steel fabrication. While both will be tested to keep you safe during a tornado, concrete shelters crack more easily while steel safe rooms will flex. This means that a steel shelter will often be able to be used through multiple storms, while a concrete shelter will usually need repairs after withstanding high winds and force. There’s an additional option to purchase a safe room reinforced with Kevlar. While these may offer slightly more protection from extremely high powered storms, they also come at a significantly higher price. Kevlar also only lasts for 15 years. The type of slab your home was built on could help you make some of these decisions for you. For homes built on post tension slabs, like those constructed by Perry Hood Properties throughout Tulsa, Bixby and Broken Arrow, your in-ground shelter options are more limited. The advantage of post tension slabs, however, is that they are more resistant to cracking, better for construction on soft or expansive soils and provide a sturdier, more reliable base for your home. Above ground shelters and safe rooms are anchored to your slab in order to keep them in place, even under the most extreme conditions. An added advantage to many above ground safe rooms is that they can be transported to your new home when you move. If you’re looking for a new home in the Tulsa, Bixby or Broken Arrow areas, call us at Perry Hood Properties or look through our currently available homes online. In the United States, a home is broken into once every 15-seconds. For many homes, there’s very little security keeping burglars out and away from your valuables and your family. Taking a critical eye to your home from the outside can help you spot potential weak spots where a criminal may be able to break in. Julia Layton at HowStuffWorks offered some tips for making your home more secure. Here are some basics. 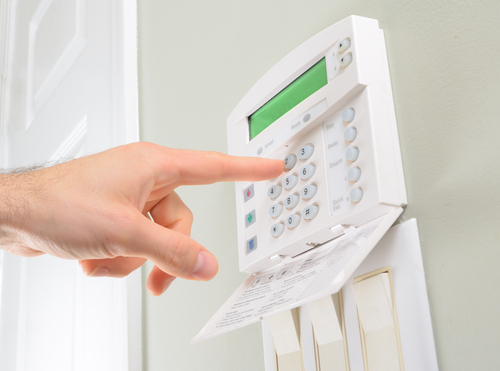 An alarm system in your home deters many burglars from even attempting to break-in, and scares off others that do try. When that system is monitored, authorities will even be dispatched as soon as the alarm sounds. At Perry Hood Properties, all of our homes are build pre-wired for security systems, which makes it easy to install them. If you’re planning to be away from your home for an extended period of time, be careful where you broadcast that. Don’t post on social media that your home will be empty. Don’t leave luggage in your driveway while you pack your car. Definitely don’t leave any type of note on your door. While you’re away, ask a neighbor to pick up mail and newspapers and leave lights on timers to make it harder to tell no one is home. Leaving a spare key anywhere on your property isn’t ideal, but it is sometimes necessary. If you must leave a key, be original in where you hide it. Common hiding places like under the doormat, on top of the door frame or in an obvious fake rock make the key easy to find for burglars. Ask a friend to try and find it after you hide it. If they can, then your hiding spot isn’t secret enough. A better option is to leave a key with a neighbor, or to switch out traditional locks for a keypad. The most common time for a break-in is during the day when most people are at work or in school. But, a burglar will happily break into a home at night if it appears no one is home. That actually makes it easier for them to get into the home without someone seeing them. To protect against this possibility, be sure the outside of your home is well lit. Add motion sensor activated lighting and lights on timers or light sensors so there’s always lights on after dark even if you don’t flip a switch. Regardless of where you live, there’s always a threat of a burglary if you don’t take the necessary precautions. As mentioned, Perry Hood Homes come pre-wired for security systems so it’s easy to add one when you’re ready. To browse through our currently available homes in Tulsa, Broken Arrow and Bixby, head to our catalog. Whether you’re ready to sell your home, in the market for a new home, or just interested in improving your existing home, there are a few ideas that can help increase value without breaking the bank. At Realtor.com, Craig Donofrio offers his advice for small touches that make a big difference. If you’re looking for a new home, you’ll want to look for these areas and if you’re selling your home, you’ll want to ensure you’ve taken care of these. Of course the paint quality of a home will make an immediate impact on everyone who views it. Paint that’s scratched or chipped or just worn will make your home look dated and worn out, even if the rest of it is in great condition. The color also makes a big impact. You might think that a home painted differently from the rest of the neighborhood would stand out more and be easier to sell, but the opposite is actually true. Most homebuyers want a home with neutral paint on the outside and inside. This makes it easier for them to imagine putting their own touches on it. Most likely, every potential buyer is going to walk up to and into your front door. That first impression is extremely important. If the buyer looks at your door and thinks it’s worn, dated, cheap or just uninviting, you’re already fighting a losing battle. A new door is worth the money and makes a huge difference in making your entire home look better. Again, we’re concentrating on the outside of the home because curb appeal is extremely important. By comparison, very few people will see the inside of your home while hundreds will see it from the street every day. You might be surprised how much a well-maintained lawn, beautiful flower beds and a clean walkway impacts the offers on a home. The lighting in your home can cast, literally, a bad light on it. Sometimes, a fix is simply to opt for light bulbs with a softer glow or to clean out light fixtures. In other cases, it might be worth the investment to install new fixtures or lighting. Particularly in the kitchen where under cabinet lighting can make a dim kitchen look more attractive. Speaking of the kitchen, many buyers will start their opinion of a home with how the kitchen looks. If it’s hopelessly outdated, many will immediately pass. Kitchen renovations can be extremely costly, but there are some simple ways to improve the look and feel. Switch out drawer pulls and cabinet knobs. Consider a fresh stain on cabinets and drawers and a fresh coat of paint on walls. You don’t have to overhaul your counters or tear up the tile to make your kitchen more inviting. At Perry Hood Properties, we build houses with high quality features that are attractive and hold their value. That means you’ll not only be buying a comfortable, attractive home for you and your family, but you’ll also have a high-quality home to sell when it’s time. Browse through our currently available home in Tulsa, Broken Arrow and Bixby or call us to start on a new home just for you. There are many opportunities to save energy in your home. Taking steps to make your home more efficient helps the environment and saves you money. At Perry Hood Properties, our homes are built with energy saving features like Low E windows and insulation, but there are other ways that each individual homeowner can save even more energy. 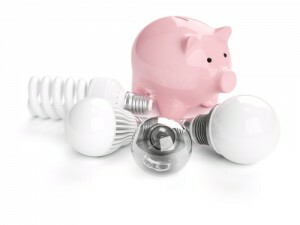 A post at Energy.gov has a few suggestions on energy saving for a typical homeowner. Here are a few of our favorites. Programmable thermostat: Every home needs a way to keep the air temperature comfortable when you’re home, but save money while you’re away. Program your thermostat to work less when no one’s home and watch your utility bills plummet. Change air filters: Regularly changing your air conditioner’s filters allows the unit to cool your home more efficiently. This means it runs less and uses less electricity. This is also good for the air conditioner itself and could save you from costly repairs. Adjust refrigerator temperature: Your refrigerator is capable of keeping foods much colder than they need to be, but this requires the fridge to use much more electricity. The refrigerator can be set between 36 and 39-degrees and keep foods cold and fresh. Your freezer doesn’t need to be colder than 0-degrees Fahrenheit. Use washer and dryer efficiently: A lot of energy can be wasted depending on your clothes washing and drying habits. Be sure to regularly check and clean out the dryer’s outside vent and clean the lint trap on the dryer before every load. Try to do multiple loads of laundry at once so the dryer is already warm when you start it. When you can, consider air drying clothes instead of running the dryer at all. And be sure to use the load size settings when you’re washing less than a full load of laundry. Efficient lighting: By replacing standard light bulbs more efficient compact fluorescents, or CFLs, you get the same amount of light and use less energy. You can also save energy just by checking your fixtures and ensuring each bulb is the right size and wattage. With timers, motion sensors and photoelectric cells, you can save on outdoor lighting by only having them on when they’re needed. These energy saving tips save you money without drastically changing your daily routine. In many ways, utilizing some of these energy saving tactics makes your home easier to manage. Perry Hood Properties takes care to build homes that serve our clients well, which includes taking extra precautions to install energy saving features and appliances. To see the homes we have available in Tulsa, Broken Arrow and Bixby, visit our available homes page. 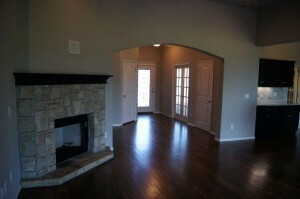 At Perry Hood Properties, the homes we build usually feature mostly hardwood floors. Many consider the decision to have carpet or wood flooring to be personal preference, but there are some additional pros and cons to consider. Aaron Crowe at AOL’s Real Estate blog put together a comparison of the two to see which comes out ahead. Here’s a look at the relevant details. When buying a home, it’s important to consider it’s retail value and potential so that when the time comes, your home is easy to sell and a good investment. Real Estate agents overwhelmingly prefer hardwood floors to carpeting and USA Today found that buyers are willing to pay more than $2-thousand more for a home with wood floors than carpet. Most would agree that cleaning hardwood floors is easier than cleaning carpet, although this is partly a personal preference. It often comes down to whether you’d prefer to sweep your floors or vacuum them. While wood flooring takes additional cleaning steps like dry mopping, special cleaning solutions and polishing, carpet has it’s additional concerns also. At least once per year, it’s recommended that you get your carpet professionally cleaned. The decision between carpets and wood floors is murky here. It’s well-known that carpet holds dust and other particles that can cause eye and respiratory irritation, especially if you have allergies. However, those same particles are sitting on your wood floor if you don’t sweep often and can easily be kicked up just by walking. The advantage of carpet here is that these particles are mostly kept out of the air and are trapped in the carpet’s fibers. But, that means that sitting or laying on your carpet is out of the question. In this category, wood floors are the clear winner. Carpet will typically last no more than 10-years before it becomes worn out and outdated. Wood floors on the other hand last at minimum 25 years and there are even some hardwood floors that come with a 100-year warranty. While damage to carpet can often lead to the entire room’s carpet being replaced, damage to a wood floor can usually be buffed out or repaired in a specific spot. For the lasting beauty and value of your home, hardwood floors are the clear choice. At Perry Hood Properties, we design and build homes with our residents in mind. Browse through our available homes in the Tulsa, Bixby and Broken Arrow areas. Winter and spring storms can cause a great deal of damage to roofs. It’s important to regularly check your roof in order to fix damage as soon as possible and prevent it from causing leaks and other problems. Angie’s List has a helpful list of preventative maintenance tips for your roof. Damage to your roof’s shingles is the first sign that the roof is in need of repairs. When shingles fall off due to high winds and storms, it leaves the remaining shingles more likely to be damaged or removed also. Missing shingles also leave the roof vulnerable. Even minor damage like tears or missing granules can, over time, cause the underlayment to deteriorate. It’s important to actually go on your roof once or twice a year, especially after severe storms, to check for damage. Water leaking into your home can cause mold, damage to your walls and ceilings and to your home’s structure. Damage to your roof caused by storms or tree limbs can lead to leaks. You may not even be aware of these problems until they’ve already done damage to your home like leaving yellow or brown stains on walls or ceilings. To check for leaks, go into your attic and look for signs of water. It may be helpful to wait for the next rainstorm and then look for any water being allowed through. The top of your roof isn’t the only part that’s vulnerable. 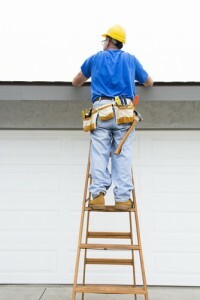 The soffit, which refers to the board under the eave that connects the roof the siding, and the fascia board, which runs along the roof line and connects to the rafters or trusses, both need to be carefully monitored. Clogged gutters can be a serious problem for both soffits and fascia boards. Damage is typically fairly obvious, however. Look for cracks or holes or other signs of stress and replace and patch these immediately. 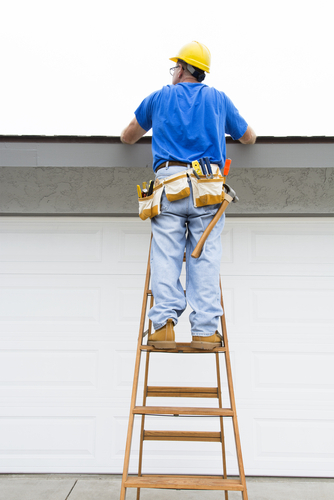 The roof is an important part of your home that is commonly overlooked or forgotten about. By regularly checking on the health of your roof and its components, you’ll avoid major problems like leaks and severe damage. If you’re in the market for a new home, Perry Hood Property is here to help. Browse through our online catalog or contact us about building a home specifically for you and your family. 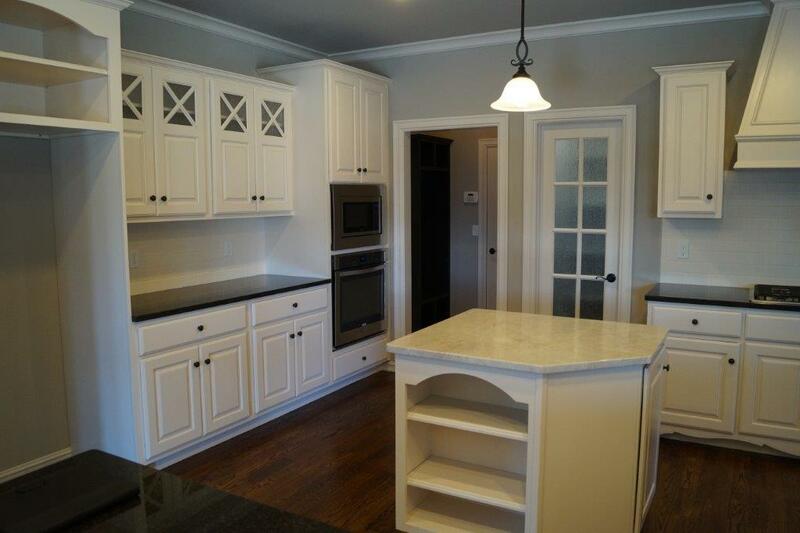 Our properties feature modern kitchens with granite countertops, Jay Rambo cabinets and stainless steel appliances. Even though the name ‘stainless steel’ sounds like those surfaces would be easy to clean, there are a few tricks to keeping your stainless steel appliances looking like new. At the Housekeeping blog on About.com, Sarah Aguirre put together a list of these stainless steel tips to ensure these surfaces stay free of rust and scratches. In most situations, you’ll only need some warm water and a soft cloth to clean any dust and spills from your stainless steel. There are two important tips that go along with this, however. First, you’ll want to wipe with the grain of the steel. There are no dramatic consequences if you don’t, but you’ll notice much more residue and grime left behind. That will leave you with surfaces that aren’t very shiny. Second, be sure to thoroughly dry your appliances after cleaning. Any water left will leave spots. For tougher dirt or sticky substances, you can try warm water with just a drop of mild dish soap. Again, use a soft cloth to prevent scratching the surface and rub with the grain. When you’re done, rinse with water and dry thoroughly. If fingerprints are causing your stainless steel appliances to lose their shine, glass cleaner is usually the answer. You’re usually better off spraying the cleaner on your cloth, rather than directly on the surface. This helps prevent drips that you see later. You can rub in a circular motion around the fingerprints to remove them, then rinse with water by rubbing with the grain again. If your stainless steel surfaces have developed scratches or are in need of a polish, stainless steel cleaners and polishes are available. These help to fill scratches and chips, remove stains and polish the surface to restore shine. You’ll want to start in a small, inconspicuous spot just in case the cleaner isn’t right for your surface. Then, rinse and dry thoroughly. With proper maintenance, your appliances will look like new for as long as you keep them in your home. If you’re interested in a new home, browse through our available homes or start the process of building the home of your dreams. 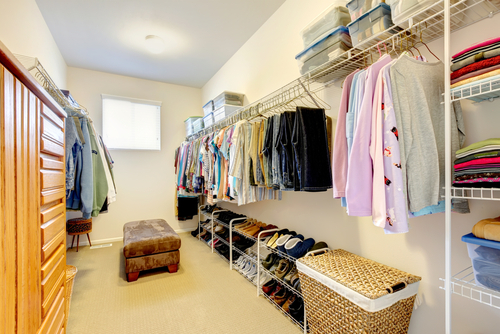 Your home’s closets are only as good as their organization. Even a large, spacious bedroom closet loses its luster when it’s hard to find and access items. Recently, Forbes published a list of organizational tips for how to improve your closets and make them easier to use every day. Here are a few of our favorite tips. The first step to improving the organization of your closet is to carefully critique everything in it. If you’ve lived in your home for years already, that probably means completely emptying the closet. If you’re a new home owner, this is an ideal time to assess all of your clothes, shoes and other items before putting them into the closet. Once you know exactly how many items are going back in, you can make more intelligent choices about how much storage you need to add. It may seem like your closet is at its limit but there’s almost always some empty space on walls or the door that you can utilize. Bars and hooks can greatly increase your storage capability without putting often used items out of reach. Not only is does there seem to be never enough storage in a closet, there’s also never enough light. Most closets have one solitary lightbulb on the ceiling, but that’s hardly enough to effectively light the whole closet, especially when it’s full. Adding shelf lighting doesn’t have to be a big, expensive project, however. Consider battery-operated LED lights that can be stuck or screwed into shelves. You can even invest in motion activated LED lights that only come on when you’re looking for something near them. If you’re short, either make all your closet storage lower, or add a step stool or ladder to your closet so you can reach everything you’re storing. There are also options like clothes racks that pull down when you need them so you can easily reach clothes on the top rack. It’s tempting to use the wire hangers from the dry cleaner that all of us have accumulated over the years, but those hangers are tough on clothes. Your hangers can be wood, plastic or metal, but they should be able to easily hold the weight of your clothes without stretching and bending them. They also add the benefit of being able to group your clothes easier. For example, use wooden hangers for dress shirts in one area of your closet and metal hangers for pants in another area. At Perry Hood Properties, we build high quality homes in the Tulsa, Bixby and Broken Arrow areas and want to help our buyers enjoy those homes for years to come. To browse through our currently available homes, visit our Catalog. 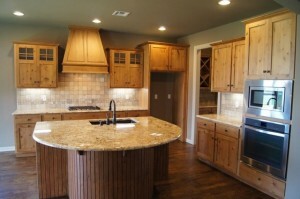 Moving into your home with beautiful and contemporary kitchen cabinets is only the start. There are a number of options you can add to your cabinets in order to make your kitchen more functional without sacrificing the look of those cabinets. At Perry Hood Properties, our homes are constructed with high-quality Jay Rambo cabinets, which give your kitchen an attractive look. To add additional functionality, Jennifer Ott put together a few suggestions at Houzz. Here are a few of our favorite ideas. Adding lighting underneath your cabinets serves a number of uses and doesn’t take up any additional room. These lights help with food prep and other work done on your counters and can serve as nightlights for those late-night trips to the refrigerator. Low-profile LED strips are barely noticeable during the day and are also inexpensive. The backsplash is one of a limited number of design elements in your kitchen. Sometimes putting outlets over your backsplash is unavoidable, but in most cases you could put outlets on the underside of your cabinets instead. This also ensures that there’s always an outlet close by when you need it. The one downside is unsightly cords hanging down from the suspended outlets, but that can be easily remedied by unplugging countertop appliances when they’re not in use. It’s always difficult to find a space for your stemware. A similar problem is storing wine bottles without taking up a lot of counter space. 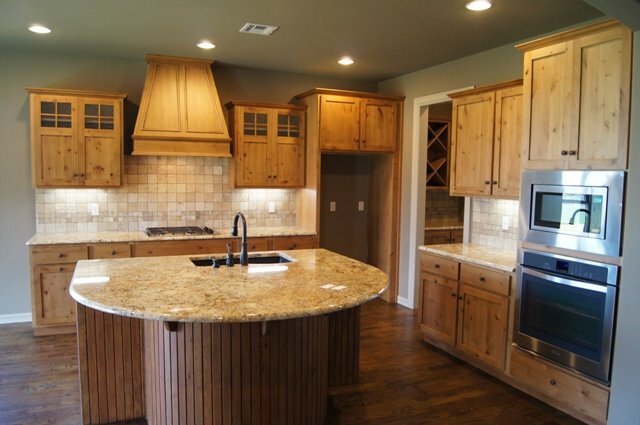 By utilizing your cabinets, you can solve both problems and save space in an attractive way. A stemware rack can be added either inside a cabinet, or to the underside of one. The underside of your cabinet can also be used to add a bottle holder. Putting these two options together is extremely handy. Do you use your tablet for recipes while you cook? Or do you talk on the phone or return emails while in the kitchen? Even if you just want to listen to music while you cook or clean, having docks for your electronic devices mounted under your cabinets is a great way to keep them out of the way but still accessible. These mounts hang down far enough where your device is easily readable but ensure it won’t ever be in the middle of spills. There are a number of other ways to customize your kitchen to better fit your needs. Consider mounting your knife block under cabinets, or keep paper towels or a jar or can opener mounted to keep them handy. At Perry Hood Properties, we ensure that all of our homes are constructed with high quality materials that will last for our residents. Contact us for information on building a new home, or visit our Catalog to view currently available homes. Your kitchen sink is used for a variety of jobs and sees a lot of traffic throughout the life of your home. At Perry Hood Properties, our homes are built with Silgranit kitchen sinks by Blanco because they’re both durable and stylish. To keep them looking great, there are a few manufacturer suggested tips you should follow. It may sound strange that you need to keep your kitchen sink dry, but due to mineral deposits in water, allowing it to sit will create spots over time. You don’t need to dry the sink every time you use it, but be sure to wipe it with a soft cloth regularly, particularly if you’ll be away for extended periods of time. You want to keep your sink clean, but you can actually over-do it and damage your sink’s surface. Abrasive cleaners containing chlorine or hydrochloric acid. You’ll also want to clean with soft sponges or cloths, rather than steel wool or metal scrub pads. Blanco offers a cleaner specifically made for their sinks but there are also a number of cleaners and polishes available that will maintain the luster of your kitchen sink. Dropping sharp items into your sink can damage the surface and leave you with small nicks. To fully protect your sink, consider adding a sink bottom that fits the sink bowl and protects it from scratches and nicks. Blanco makes sink bottoms for all of their sink models and there are other options available as well. Speaking of sink bottoms, you’ll want to be careful about what type you use. Rubber-coated mats when left for long periods of time tend to cause discoloration of your sink. Additionally, wet sponges or cleaning products that are left over time will also leave stains and discoloration, just as they would with any sink. It’s always a good idea to rinse and wipe down your sink after pouring any type of chemicals or colored liquids into it and after cleaning. At Perry Hood Properties, we build our homes with high quality materials and help our clients keep those homes looking great for years to come. To see the homes that are currently available in Tulsa, Bixby and Broken Arrow, browse through our online Catalog.